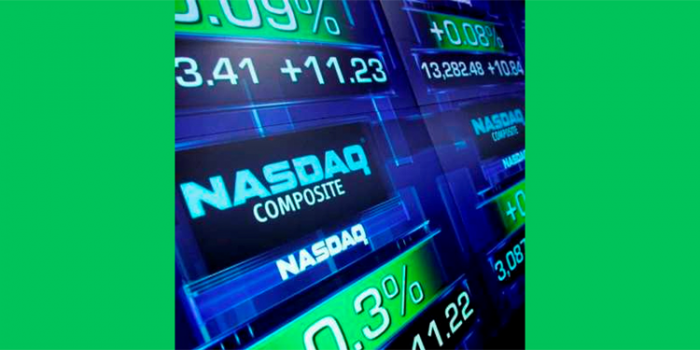 A brand new NASDAQ commercial starts with an executive asking his team for the latest reports. The succeeding speakers say you do not want good data and you do not want good technology. “Because good is the enemy of great and it will make you satisfied too soon with too little”. The next questions on this viewer’s mind was what is good and great data? And more importantly, what does having great data mean for today’s businesses. Clearly, the concepts for this commercial have their origin in Jim Collins’ book from “Good to Great”. The basis for Jim’s book was his research into what makes a company built to last. From this research, Jim determined that great companies triumph over time by combining a culture of discipline with an ethic of entrepreneurship. He found as well that long-term sustained performance can be engineered into the DNA of an enterprise from its very beginning. So what role does data and information play in building great companies? I believe that great companies invest in data and information so they can manage performance and create what Booz and Company dubbed a sustainable right to win. So why does great data allow great companies to act differently? In this post, I will share five ways that great data (data which is clean, safe, and connected) supports enterprises in their move from Good to Great. 1. To change their customer relationships. Theodore Levitt said that the purpose of a business is to create and keep a customer. And while creating new customers will always be important, in today’s business environment getting existing customers to come back more frequently is more important than finding a new customer. The simple fact is that getting an existing customer to come through the door again costs substantially less than getting a brand new customer to come through the door for the first time. Great companies not only know this but are able to use superior data and predictive analytics to drive compelling offers to customers regardless of channel. Simply put, they do not waste time sending noise to customers for things they already own. They can do this because they have a 360 degree view of their customers. When a customer calls for service, they ask them immediately which of their products they are having a problem with so their customers feel they are getting superior service. At the same time, their sales efforts maximize revenue by having the system perceive areas for potential cross selling and upselling. And finally, their enterprise maximizes revenue per customer per quarter by getting goods, invoices, and offers delivered to the customers at the right address at the right time. 2. To drive real and continuous performance improvement. Great companies also use performance data to drive tangible, real and continuous performance change. These organizations know their performance against goals and in each and every meeting see with real time data where gaps in performance are occurring. Where possible, automation goes further in driving alerts to leaders as well perspective changes in pricing, production volumes, etc. In businesses like oil and gas, leaders use superior data better than their competition to predict which wells will perform or not based upon integrating the data across related wells. 3. To move from small solutions to big solutions. Great companies are also using great data to change the level at which completion takes place. This is the notion of the Internet of Things. Great companies are in the vanguard of those starting to connect digitized devices in order to provide customers bigger and more overarching capabilities. Great companies understand that ubiquitous wireless connectivity will unleash an era where competition becomes about the size of the business problem solved. They know as well that as smart, connected products take hold, the idea of industries being defined by physical products or services alone will cease to have meaning. 4. To manage change more effectively. If we know anything today, the rate of business change is only going to increasing. This means that IT organizations need to be built for agility and the information that they provide needs to occur faster than ever. This requires an enterprise architecture that is built to support business agility. Being built for agility requires standardization. According to research from the Aberdeen Group, Leaders in their Agile Business Intelligence survey achieved ROI from projects in 6.7 months compared to 16.3 months for Followers. Standardizing on tools and approaches are key to achieving this result with Leaders being 69% more likely to take that route compared to Followers. 5. To limit risk and drive better compliance. We live in a world where data has become the life blood of the enterprise. Increasingly, therefore, we need to protect data as it traverses across each and every enterprise system. At the same time, we need to comply with regulations and govern data at each stage of its lifecycle. Great companies are performance driven so they have identified data stewards and have their data protected and specific compliance requirements met because they are proactively rather than reactively governing data. Great companies see information governance as an investment that pays for itself. Great companies utilize great data to manage their business processes better than the competition. It comes from having a culture of discipline with an ethic of entrepreneurship. Both demand data-driven decision making. For this reason, from the start great companies are able to use data to have a different relationship with customers, to be performance driven and to manage change while actively limiting risk.